The School Education Board or Tamil Nadu has published pdf format of school textbooks online at official website. These TN HSC books are available for all classes like 1st standard to 12th standard. Students those who want to download Tamilnadu 12th Books for free, you just click the given downloadable link. You should select medium of language before downloading TN 12th books from the below table. You can also download group wise Tamil Nadu plus two text books such as group 1 (Maths Biology group), group 2 (pure science / computer science group) and group 3 (commerce / vocational group). Students you should install pdf reader to view these 12th pdf books on your computer or mobile phone. Students those who are studying Tamil Nadu state board 12th std in both Tamil & English medium can download and use plus two Samacheer Kalvi school textbooks for all subjects from textbooksonline.tn.nic.in. All subjects books (including accountancy, botany, biology, Chemistry, Commerce, Maths come book, Solution Book, Physics, Economics, Tamil, English, French, History, etc) are available on the internet to download. Every year, the Tamilnadu state government provide the text books for all school students for free (including Government, Government Aided and Private Schools). And also the TNDGE (Tamil Nadu Directorate of Government Examination) has distributed school textbooks online for free. 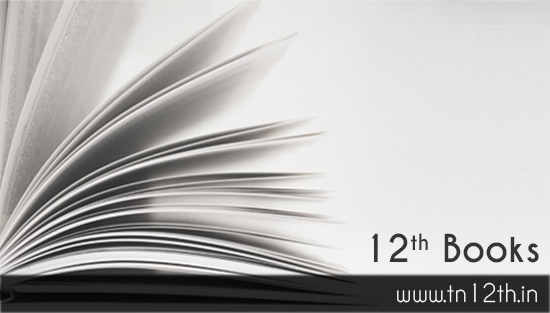 Anyone can visit the official website and download Tamilnadu 12th Books from online. First make decision to what are the books you want to download. And for which medium you have to select. Then search for the particular subject on the above table and click on the link. Then save TN 12th Books as pdf file.